The Stanley Hotel is easily one of the creepiest in the world, thanks to it serving as the location for The Shining. But the Estes Park, CO attraction is looking for a new way to scare the crap out of its guests: with a maze inspired by the one in the movie. 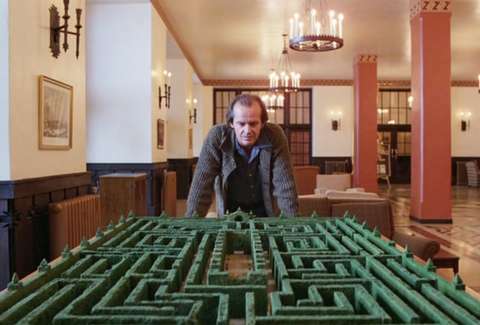 The notorious hotel, which already plays The Shining on loop on one of its cable channels, is calling for professionals and amateurs to design a 10,100sqft maze, comprising between 1,600 and 2,000 hedges to be installed permanently on its front lawn. Ideally, the outdoor puzzle will be challenging, but not so difficult that visitors wind up calling 911 or freezing to death. SPOILER ALERT. Contestants will have until Jan. 31 to submit their proposals for the maze before a panel of hotel employees, Stanley Film Festival staff, and select local residents choose the winner. There'll be an official ribbon-cutting ceremony for the maze on April 30, with the winning designer's name displayed on a placard at the maze’s center. The losers will get an ax in the chest, just like Scatman Crothers. Just kidding. Head here for the submission guidelines, and to enter the contest. Chloe Pantazi is an editorial assistant on Thrillist's travel team. The first time she watched The Shining was in the library of a mansion in the English countryside. Follow her on Twitter at @ChloePantazi.